Steven Knight might have edged himself closer to becoming a genuine household name in Britain thanks to the hit TV series Peaky Blinders. But having more quietly helped to co-create Who Wants To Be A Millionaire? – which underpinned Danny Boyle’s Oscar triumph for Slumdog Millionaire – it’s his career as a screenplay writer and film director which will ultimately determine how far his name will travel around the world. Eleven years after his first best original screenplay Oscar nomination for Dirty Pretty Things, Steven’s sense of not wanting to win just in case he had to make a speech in front of host Billy Crystal and Hollywood’s finest stars has transformed into a hunger to do it. Back in 2003, he told me: “I hate getting up and talking about myself in front of people. Times have changed – and he’s now bristling with confidence as a mover and shaker who wants to bat for Brum. “An Oscar changes everything and I didn’t realise at that moment (in 2003) how important it was,” Steven admits. Does he want one now? Now 54, Steven has more than half a dozen projects on the go. Tom Hardy – “the best young actor Britain has got” – is the star of his new film, Locke, about a man undergoing a personal and professional crisis while driving from Birmingham to London. The second-time director has already personally screened Locke in Phoenix, Los Angeles, San Francisco and Seattle as well as in Chicago, referenced in the script. After Birmingham, Steven is taking it to New York (with Tom), Boston, Washington, Dallas and Toronto. He is also working regularly with Hollywood’s biggest hitters like Steven Spielberg on films like this summer’s The Hundred-Foot Journey. And famed producer Harvey Weinstein has picked up Peaky Blinders for US television having told Knight a decade ago that Dirty Petty Things had “completely changed” his attitude towards hotel staff. As we chat in the bar of the Hotel du Vin beforehand, Steven looks as fresh as a spring daisy in his crisp, white shirt – even though he’s just off the plane from Chicago. “People would be amazed I’m drinking water,” he says, posing for a photograph in the bar. “I don’t exercise, I drink beer. As a man who always knows what he wants and finds a way to do it, especially if it means breaking with convention, he doesn’t even go to the cinema. “I don’t get the time and I don’t want to be too influenced by other films because you then end up making films like other films,” says Steven. “At the beginning you have to just do it. If you don’t know what you are not supposed to do it helps to give you a sense of freedom. Having found his directorial debut tough while shooting Hummingbird (with Jason Statham) at night in winter, Steven devised a simpler plan for Locke. “Directing? There’s nothing to it now, it’s a piece of cake,” he laughs. “On this film I shouted action just 16 times. We filmed the whole film from start to finish in one go, twice a night for eight days. I would write to the actors during the day, while they were sleeping, to suggest changes. “Locke cost less than $2 million, which is incredibly cheap and probably less than Spider-Man’s catering budget. Steven believes only an actor of Tom’s ability could have pulled the role off. “When there’s only one person in the story, he has to be good,” says Steven. “Tom was the first person I asked and he said ‘Yes’. “It would have been claustrophobic being stuck in that vehicle for so long. “Everything about this film is different – Tom was filmed doing real driving on the M6 and M1 but on the North Circular Road on the low loader. The idea to make a film set in a car came to Steven during urban tests for Hummingbird. “Being alone in a car is different to being alone anywhere else,” he explains. “Locke is thinking about the past and the future and it’s a very different experience. “When I’m driving back to Birmingham, I love the bit near the flats in Chelmsley Wood. “And there used to be cooling towers before Fort Dunlop. They were special. It’s also a reminder of Birmingham’s status in the world – and one he wants to help to revamp in real life. “Because I was the youngest of seven, my parents were quite old relative to me and so they were around in the 1920s and 30s when the city had a real swagger to it,” he says. “Birmingham was out-manufacturing Chicago and Detroit and everywhere else. “We had really hard men dealing with steel and iron while Manchester had wool and cotton. “Mum and dad would tell me stories about when they were kids and it was really filmic stuff, but as always people from Birmingham would say ‘You can’t do that about us. It can’t be Small Heath, it’s got to be Detroit’. “But over there they mythologise their own history. If you did a film about 19th century agricultural labour in England, in America it’s cowboys. It’s a western. “They take that bit of their history and make it awesome. We never do that, we’re embarrassed about it. “If there’s only one thing that comes out of Peaky Blinders I hope it’s that other people will write and make films here and absolutely ignore any cringe. Echoing his own transformation into Hollywood’s go-to guy for scripts, not all of which are credited to him, Steven says: “Birmingham is invisible because we don’t make ourselves visible. “I don’t know why, but as I get older I’m baffled by this invisibility so I’m trying to do something to put Birmingham, culturally, more centre stage. There’s a hint he would like to move back within the city boundaries, but then he resists the temptation of saying ‘‘Yes’’ in favour of saying how much he loves the ‘‘absolutely beautiful’’ countryside between Birmingham and Oxford. “The thing I’m worried about is that with London becoming a different country and completely separate, people might think we need a second city like Manchester, but why there when Birmingham is here? “We need more craft universities so that manufacturing comes back from the Far East to Europe. “Birmingham should be trying to encourage crafts – we are the birthplace of the Arts & Crafts movement. We need more metalwork, jewellery design, all of the things that are here and part of the DNA of Birmingham. Since Dirty Pretty Things, Steven has moved from East Finchley to Notting Hill, but still returns to Birmingham as often as he can. His mum, Ida, recently died, aged 93, and he regrets she wasn’t well enough to appreciate the arrival of Peaky Blinders on TV. Late father George was a blacksmith. “He would have loved for us all to be blacksmiths but you have got to be good at it,” says Steven. “One brother was good at it and he still does it. “It wasn’t for me, but Dad used to take me out of school to work with him. I used to take horses’ shoes off – not very well – and keep the fire going. “It was an education... for Peaky Blinders! “He did work for Birmingham Corporation and worked on everything from gypsies’ horses – he knew a lot of them – to police horses. Being the youngest of seven was, he says, ‘‘good fun’’. “My parents had two boys, two girls, then three more boys. They just kept going! Only one brother went to university – to read maths in the north east – but he left after a few months. So Steven is the only one with a degree, in English Literature from University College London. He then worked as a copywriter/producer for a Birmingham advertising agency before moving on to Capital Radio, where the seeds for Millionaire were first sown as a radio game. “It doesn’t help you to become a writer to get a degree in English, but it did me no harm,” says Steven. Steven also worked with Jasper Carrott on TV shows like Canned Carrott, The Detectives and the unlikely sitcom All About Me, about a mixed-race Birmingham family as seen through the eyes of a teenager with cerebral palsy. “Writing comedy is the best education,” says Steven. “Even if you are in a pub and if you get one word wrong, or stumble in your delivery, it doesn’t work. Michael Apted directed his script for Amazing Grace (2006), a Birmingham-influenced film about William Wilberforce’s campaign to abolish slavery. 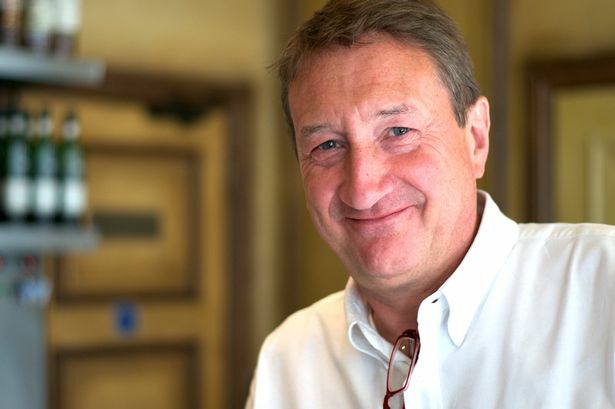 In the long run, and at the Academy Awards sometime in the future, that Birmingham sense of fairness and justice will be the making of Steven Knight. And then you can bet your bottom dollar that Birmingham will no longer be invisible.